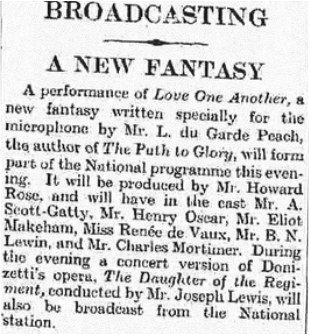 This was performed on the National Programme on Wednesday, 6 January, 1932. With kind permission of the Times, 6 January, 1932. Taken from The Exeter and Plymouth Gazette of Tuesday, 5 January.